You need to migrate your account! 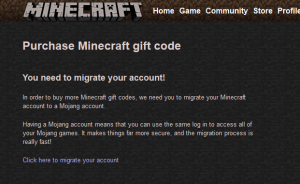 In order to buy more Minecraft gift codes, we need you to migrate your Minecraft account to a Mojang account. 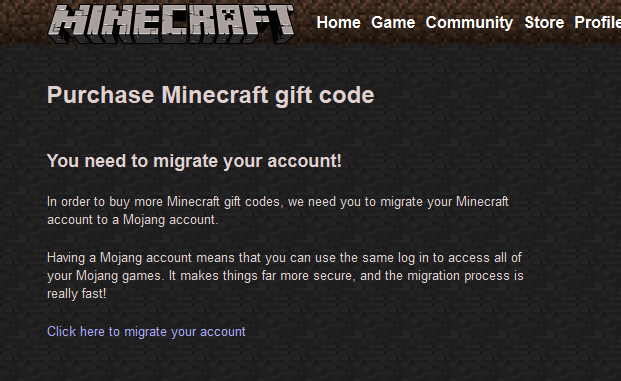 Having a Mojang account means that you can use the same log in to access all of your Mojang games. It makes things far more secure, and the migration process is really fast! You are currently browsing entries tagged with アカウント at minecraft.